Comment: In this text some of the people are jealous on Moses’ behalf, as if there is only room for God’s Spirit to rest upon one person. Often jealousy stems from worries that we might be pushed out of our roles or our communities if we welcome others in. 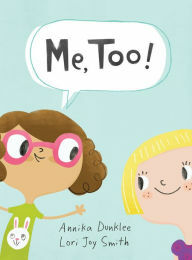 Annie worries she will lose her title as Lillemor’s best friend when Lilianne moves to town. Moses, Lillemor, and Lilianne encourage us to see that welcoming people with their Spirit-inspired gifts might just make our communities more wonderful. 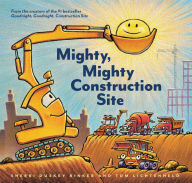 Comment: “Now there are varieties of gifts, but the same Spirit… To each is given the manifestation of the Spirit for the common good.” The construction site is a place where trucks with different gifts and skills come together to serve a common purpose. On Pentecost, this text and story invite us to celebrate the variety of gifts given to us by the Spirit and the way we use our gifts together in the service of God. Comment: Although his friends tell him they have seen the risen Lord, Thomas says he won’t believe it until he sees it for himself. 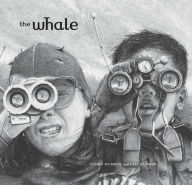 In The Whale a town doubts two kids’ account of seeing a spotted whale. No one else has seen it, so they simply don’t believe it exists. In this text and story we are reminded that encountering something unbelievable with our senses helps us to know it is true. Wonder with your congregation about what helps us to believe when things seem unbelievable. Thankks to Noell Rathbun, Union Presbyterian Seminary alumna and Minister of Children, Families and Liturgical Arts at Grace Baptist Church, Richmond, VA, for writing the Lectionary Links this week. Lectionary Links (RCL): June 4, 2017 (Pentecost) by Storypath is licensed under a Creative Commons Attribution-NonCommercial 4.0 International License.